Last Chance to Save Big on Hunter Douglas Products! Glam it up with shimmery surfaces and plush fabrics! Make your bedroom the retreat you've always wanted with some Hollywood glamour and comfort! 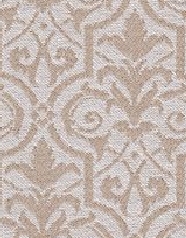 We now carry Wolf-Gordon Wallcoverings! Spring always means a fresh start - spring cleaning, putting away sweaters and sprucing up our homes. Take advantage of the spring energy to take on those window projects and save some extra money on cushions and pillows this month! We appreciate your readership! Add a Shot of Hollywood Chic to Your Home! Picture this: You come home from a long day at work or running the kids back and forth to soccer practice. You make dinner, get the kids in bed and now it's your turn to relax. Wouldn't it be wonderful to walk into your bedroom and pull the velvet coverlet off the bed and slip in between the luxurious sheets to relax with a great book! We all want a haven to retreat to at the end of the day. One style trend that continues to be strong is the Glamour Look. The easiest room to work this trend into is the bedroom. Last Chance to Save Big on Hunter Douglas Blinds and Shades! Wolf-Gordon has long been recognized as a leader in wallcoverings for commercial applications. However, their line of beautiful prints, suedes, rice papers, environmentally-friendly and custom prints would work equally as well in a residential setting. Check out their products at www.wolf-gordon.com. Save 10% off your entire order of cushions and pillows! Get a head start on your patio or deck cushions for the summer! Add those extra toss pillows to your family room and save an extra 10%!